One thing that has become increasingly apparent in client and general art world conversations is the increasing importance of an artist’s identity beyond a traditional pedigree. What does the artist care about? What life experiences does their work reflect? It’s great to see a prestigious art school on a CV, but the artist’s point of view and identity outside of their art in and of itself is becoming more and more relevant, especially in a climate of social impact. And for many of our clients, the artist’s identity and values are just as important as the aesthetic factors. When art is humanized, viewers are much more likely to connect to it, and there’s a greater opportunity for it to serve a higher purpose. So this article in Sunday’s Times on the rising success of black artists, albeit late in life, really resonated. 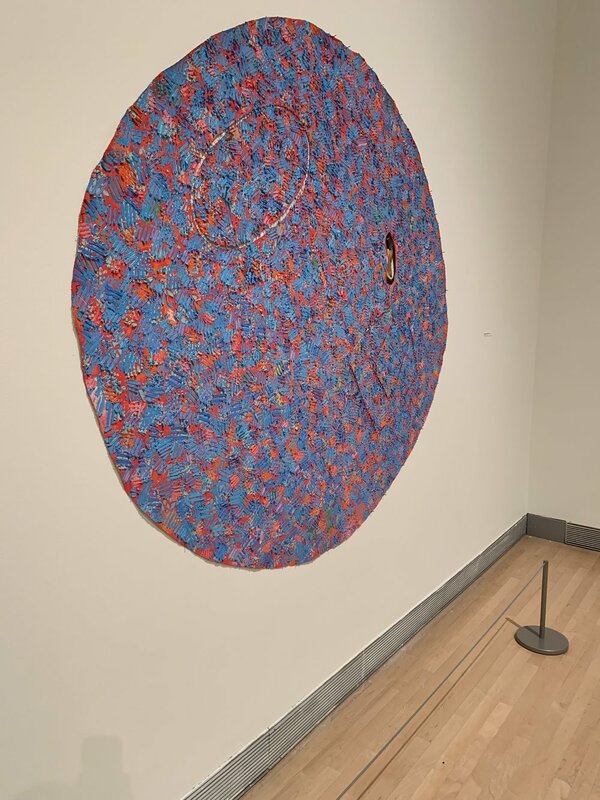 Howardena Pindell at the Rose Art Museum. Michael Rosenfeld, who represents the geometric painter William T. Williams, 76, and the sculptor Barbara Chase-Riboud, 79, said they both “purposefully withdrew from the commercial gallery world for decades,” because they did not want their work to be seen through the lens of identity. Still, race is an undeniable factor in the market’s new embrace. Rachel Lehmann, co-owner of Lehmann Maupin, which represents Mr. Binion, said she has asked buyers what they responded to in the artist’s work. “They were interested in the fact that it is abstract and in the fact that this is an African-American artist — part of the spectrum that has been neglected in our history,” she said. “Some is serious, some is fickle and some is not at all positive — you just have to find your way through it,” he said. Talk about art serving a higher purpose - cheers to that!